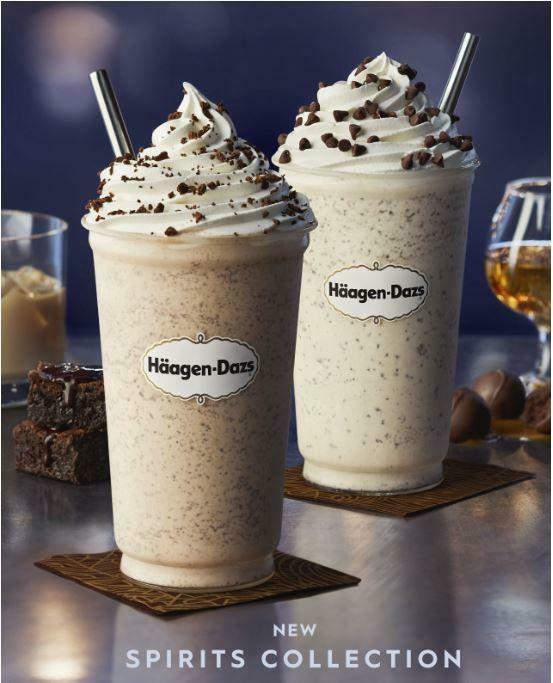 Häagen-Dazs is celebrating the spring season with the introduction of the NEW Häagen-Dazs Spirits Collection! At Häagen-Dazs Shops, we are thrilled to announce two new ice cream flavors - Irish Cream Brownie and Bourbon Vanilla Bean Truffle - which are now available. Our new Spirits flavors are featured in delicious handspun milkshakes worth celebrating! Irish cream lovers will enjoy our new Irish Cream Brownie milkshake, combining rich Irish cream, chocolate brownie pieces and a decadent fudge swirl. Favor a bolder flavored spirit? Our creamy Bourbon Vanilla Bean Truffle milkshake is studded with chocolate truffles and finished with a spicy bourbon.